Following the launch of their XHD cable assemblies, Comprehensive is now launching Platemasters™ – a new line of professional and residential wallplates and panels. The Platemasters™ series consists of over 1,500 stock wall plates in a variety of popular configurations and finishes. Platemasters™ offers single, double and triple gang plates with many different connector options and finishes including anodized aluminum, kydex and stainless steel. Most orders ship in as little as 48 hours. Nearly any plate or panel can be designed and manufactured to meet a customer's exact requirements, including custom engraving and plate configurations. 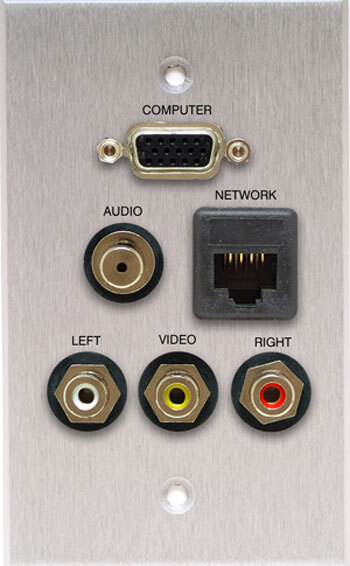 For over 30 years, Comprehensive has been providing the industry connectivity products including cable assemblies, connectors, adapters, bulk wire, video electronics, and presentation products to commercial and residential AV professionals. To request a catalog or brochure, email sales@comprehensiveinc.com or call (800) 526-0242. Comprehensive offers their entire Platemasters series online at www.comprehensiveinc.com .